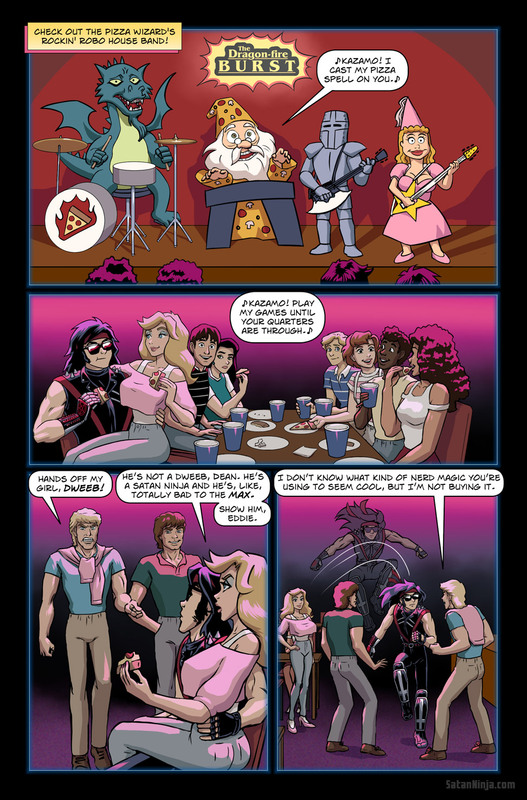 Of course we couldn’t have an ‘80 pizzeria/arcade in the comic without showing the animatronic house band. As a kid, I remember being both intrigued and frightened by the animatronic band at ShowBiz Pizza (which later became Chucky Cheese). I didn’t remember the name of the band until I did research for this page. It was called The Rock-afire Explosion (which is, like, way too badass of a name for it), and there’s even a documentary about the band on YouTube. I knew there be trouble!!!!! I wonder if Dean realizes that Eddie just robbed his house!?! ?